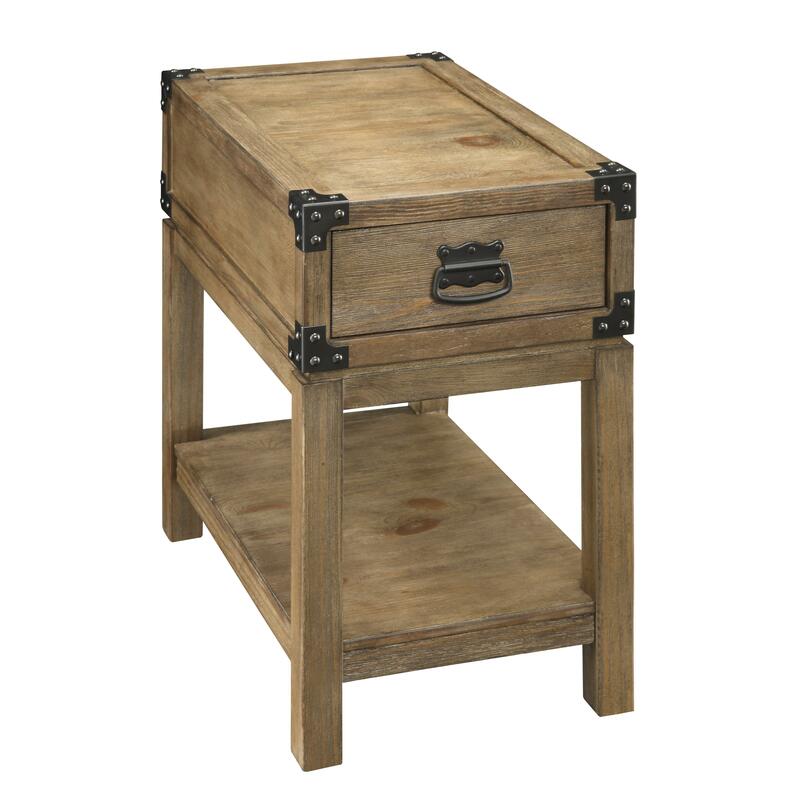 This unique chairside table will add style and storage to your space. The Carmel Burnished Natural finish is warm and homey. Black metal accents add rustic and charming details. A single drawer is convenient for stashing small things, and the bottom is open for storage or display. The Coast to Coast Accents One Drawer Chairside Table by Coast to Coast Imports at Furniture Fair - North Carolina in the Jacksonville, Greenville, Goldsboro, New Bern, Rocky Mount, Wilmington NC area. Product availability may vary. Contact us for the most current availability on this product. The Coast to Coast Accents collection is a great option if you are looking for furniture in the Jacksonville, Greenville, Goldsboro, New Bern, Rocky Mount, Wilmington NC area. Browse other items in the Coast to Coast Accents collection from Furniture Fair - North Carolina in the Jacksonville, Greenville, Goldsboro, New Bern, Rocky Mount, Wilmington NC area.